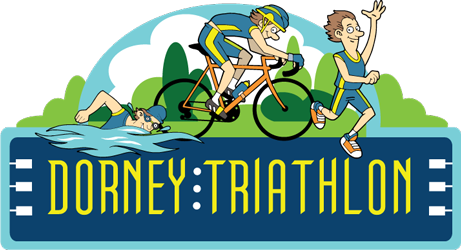 Join us for the Dorney Triathlon on Saturday 8th June 2019. Take on a Sprint or Standard distance triathlon around Dorney Lake on Saturday 8th June 2019 and take the opportunity to race around this unique and inspiring Olympic venue! The purpose built lake is perfect for the swim and the flat grounds lend themselves to a totally flat bike and run course, the ideal venue for a chip timed personal best. Each discipline will be accurately marked out with distance flags and we will have plenty of helpers to keep you on track and to encourage you all the way to the finish. There will be free parking available for all participants next to the event village. For details on how to get to the park from nearby public transport please refer to Google Maps or City Mapper. There will be toilets a short distance from the transition area. There will be an informal baggage drop area for you to leave any belongings within the transition area. Event Chip Timing will record your times. Results will be live at www.eventchiptiming.co.uk throughout and after the race. The presentation of prizes will take place throughout the morning and we’ll make announcements prior to the presentation. There are lots of prizes on offer!